Spinks wrote about learning and finds that people don't ask advices because they don't want to be perceived noobs. Of course it can be the case for mindless socials who pull 1200DPS. However the forums she mention as alternatives are also places of such learning. The others will mercilessly point out every little mistake you made in your post. And you'll make some. Still, people are ready to put their ideas to public display, risking exposing their stupidity to thousands. This blog and many others are not exceptions from this rule. Since every bloggers get trolls and hate mail, and it does not stop them from speaking, I don't think that guarding "perceived pro-ness" is the problem (for adults). The problem is that if you ask for advice from an average gamer, the advice you'll get will be average, at best. Besides "where is Mankirk's wife" there are no ways to get useful advice from random players. Discussing specs and spell rotation is a long process, some random guy will not do it for you in two words. So you must ask your friends. Here comes trouble: if you are a noob, your friends are also noobs, so you can't get any useful advices. Actually it's worse. When my GF and me were beginners, we read about the game. No, we did not know about WoW sites, but we read the tooltips and the official site. Below lvl 10 we understood the "aggro" concept and also the tank-DSP-healer trinity. However in the leveling guild we were, we kept getting terrible advices. Some of these were simply specing for a fraction of the raid spec (what the guy found on some site), others were plain nonsense. We leveled a hunter-druid duo. My spec was always half-balance-half-resto. She went surv, exactly for tanking. We knew that a melee hunter is not good for a bossfight, but since she had mail armor, lot of dodge and axe specialization, she could tank practically anything up to 70 and even beyond. You can imagine how many "friendly advices" we got to "spec properly". We explored everything alone, exactly because we noticed that others around us are noobs. It took lot of time till I started to believe anything that others told about the game. Phaelia was the first who proved me that not everything told by others is noobish nonsense. Of course when I finally noticed that I can find advices on the web, things became much more easy. Actually it's 2K, not 1.9 since I "forgot" to use fel armor, and he noticed it after some time. After that, the DPS went up. So I was somewhere between 2 and 2.1K. OK, he missed that I did not use firestone. He also misplaced some talents (demonic brutality instead of improved imp and also 3/15/53 instead of 3/14/54 or 3/13/55). I'm also unsure if Corruption worths its GCD. He also had paused between lines, most probably Alt-Tabbing to some forum. But hey! I got 2K+ DPS from him, so he deserved his money. Anyone still believes that there is something as "innocent ignorance"? The information is available, both on sites and from good players for payment. If someone is dumb, that's his own fault without excuses. Note: this post is not about a warlock spec. Please don't comment about the spec or rotation itself. I could find the proper EJ article if I wanted to. The post is about the learning process. Sometimes you dont even need to pay. Good players might be willing to help you out. But probably not to the extent of standing beside the dummy with you. At least sometimes I get random strangers pst-ing me and I get to help them out. However I usually restrict it to guildies. Regarding that corruption. I can't answer if it is worth the GCD becos i am not specced deep dest. I play a noobish 41/30 spec, and top the meters. It is practically a 4 button spec. Being a noob myself when it comes to specialising on things (i'm just playing my way up to 80 with a friend, and doing nothing to tweak meself) could you let me know which addon it is that anlyses your DPS output there? A newb is new to the game. A noob will always be new to the game. The addon is Recount. It will show how your dps or healing compares to other players in the party, plus breaks down your damage into categories for analysis. you forget that you had one important advantage over the M&S community....you knew that you wanted / needed 2k+ DPS. Ah, the snowboard lessons thing you promised to experiment with long time ago! Great to see you came around to do it and that it works decently. How about the other way round? You've given free lessons in gold making, but what about selling your druid skills in game for gold? Would it work to start "Gevlon's druid classes", 1000 g/hour? Gold well spent. You can research on the web, but 1st hand advice is priceless. Nice caveat to insist on 2K dps. It is one think to know the right spec and what your abilities (buttons) are, but it is totally different to know how 1 or 2 spells / moves in a rotation affect others to increase your dps. there's a clear distinction between 'new' and 'newb.' i play a prot pally as my main and i'm damn good at it. first time going into uld i messed up a lot, same with any new raid i do. because it's NEW and so am i and everyone else for that matter. the difference being that a new player wants to learn and isn't some moron. a newb just wants boosted through naxx and such and doesn't give a damn about improving. we're all new at something and every patch that comes we all go from pro to new again. "Here comes trouble: if you are a noob, your friends are also noobs, so you can't get any useful advices." When I was new to the hunter class I sought help from two of my friends who were (and are) amazing hunters (one doesn't play anymore, the other has transferred and her main is now a druid). I was BM, they were BM and raiding Kara with absolutely crazy DPS (they knew their shots, trapping, etc, too), and together they helped me respec and learn my shot rotation, then learn how to trap, to make me into a better hunter. I'm rusty with it these days, but at that time when I went into instances people were pretty impressed with me after those lessons - I went from crap DPS and being afraid to instance to doing great DPS and jumping on every instance opportunity. TL;DR Unless you're coming to the game with people that are new as well, not everyone's friends are going to be "noobs" just because you are. Thanks to Anonymous about recount. After a year of playing, my main is still two levels shy of 80, and I have a scattering of alts from 20-45. I don't play all the time, and I give an hour here and there. I revel in my lack of knowledge, and as I can see, I'm learning things all the time. Although I'd hesitate to say that I'd be pretty damn near impolssible for someone to train or teach in game! I've been playing WOW for about 4 months. My main is a BM hunter who is currently level 72. I have friends that play the game as well and they have helped to give me a solid foundation of advice on how to play/how to pick professions, etc etc. I also used many online resources to help make my character better. I feel like I am a very strong player in solo questing and in BG. I feel like I know my shot rotations, I know how to trap, I am aware of pet management, etc. However, I have yet to run an instance meant for my level, with other people that are also my level. Every instance I have ran has been with a friends higher level character. Sometimes I would help, but always with feign death to fall back on if things got to rough. I am so ready to do an instance "for real," one with players my own level where I really play my part the way I am supposed to. I am just nervous about it. I feel silly even saying that, cause really who cares? Its just an online game, if I mess up its not a huge deal. But for some reason I am anxious about joining a group for an instance, messing up, and being deemed a noob. I mean I have gone 72 freaking levels without ever doing one. I wonder if anyone else has felt this way too? @Larisa: I'd be really interested to see that as well. @RandomHunter: I felt that way, too, when my hunter was in his 60s (he is now a she). My first instance was Hellfire Ramparts with my guild leader who, in that run (they had to fight to even get me to go), taught me how to trap, what shots I should use, etc. I went for further help to another friend of mine. As the duo gave me more tips and my performance improved, so did my confidence! One of my first characters was a warlock. I remember one day in Stranglethorn while I was questing, a higher level warlock was watching me. I was dotting and then lifetapping and drain life. She told me I should use more shadowbolts instead of lifetapping and draining. I thought she must know what she was talking about since she was so confident and higher level and I was so new. I even wondered if I was foolish for being affliction afterwards. Interesting that your druid used to be half balance half resto. My level 80 druid is 51/0/20 and has some "resto" gear. I have thought often that somebody who looked at my armory page might wonder if I am an idiot since I am a non-hitcapped moonkin with a reanimator's cloak and some stamina on a few gems. But then I remember that warlock and I realize I am an idiot if I worry too much what anybody else thinks. Most useful(relevant) thing: Can make a talent spec templates and to send to other players using talented. I think it is also important to remember that there are different types of Noobness. There is spec noobness where your new to the class or style of play, but understand the basic mechanics of the game. Then there is total noobness where you have very little understanding of the game. A spec noob can easily get the information they need out of websites or by talking to the right person in game. In fact they can probably find that person without having to pay them. In my opinion though there is very little you can do to help the total noob at least in a short period of time. Like you when I leveled my druid I had half my points in Resto and the other have in balance. On top of that my gear was have caster half melee for the times I went cat. I was a complete and total noob. Someone could have explained what I was doing wrong, but to be fair I understood very little about how stats interacted with performance. At best I would have walked away with a solid plan but little understanding of its foundation. That is why I kind of think you just have to let noobs play. If they have the desire to improve they will figure out where to look. I find this experiment a bit odd. Through BC my main was a lock and depending on what you are looking for I have multiple current specs (still good in 3.2) and a good feel for how the rotation works for all three trees. I don't have the ulduar achievements on my lock(lvl75), I have them on my DK (Tanking Ulduar) and so perhaps I would have qualified. But I guarantee I would have gotten you to 2k faster than the druid you wound up with. Locks are all about tight rotation, regardless of spec. Watch your procs and tighten your rotation and in quest blues and two BOA armor pieces my Lock is at 1300dps at 75. You got second string advice. Partly, I think, because you chose a lock. We tend to be pretty self sufficient and expect other locks to be as well. If you made it to 80 and still can't push 2k in quest blues? You aren't a lock, you are a tourist, go play your main. That being said, for 300g I would have given you ten minutes. My favorite site of all time for new-to-80-raiding players is raider101.com. 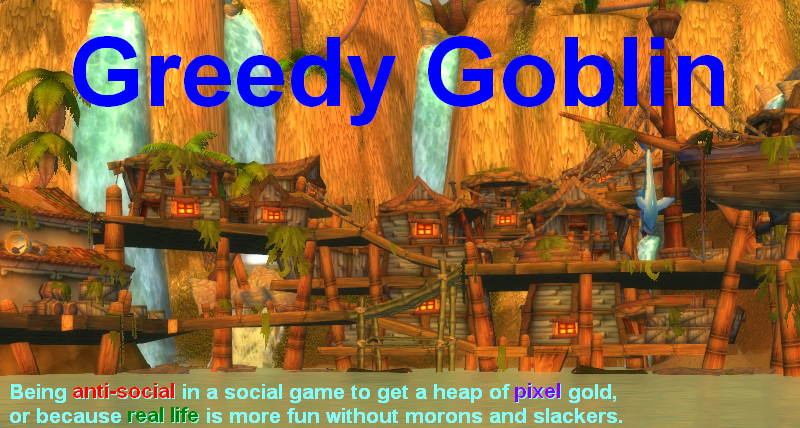 It's a wiki and most of the articles are maintained by WoW community authorities. I happen to maintain the Affliction and Destruction Warlock pages. I thought about approaching a better geared/supposed best skilled Shadow Priest on our server for his opinion on ways for me to get better, and offering him a chunk of gold for his time, because I'm running out of things to consider - I don't think I'm bad - Had no complaints from guild/dps lead but I think there are are always areas to improve on. Your post has inspired me to maybe actually ask him and see what his response or attitude may be. I think this is one of your best articles. It shows both a mentality and a technique. I really enjoyed it! This is exactly the account of learning how to reason morally Aristotle offers in Nicomachean Ethics (if you don't think there is moral knowledge just substitute any other field--engineering, for example). You don't just think really hard and come up with the truth a priori; you need experience. You need to be taught to think the right way or all your thinking will be hopelessly misguided. You need someone with the proper experience to give you the essentials--to train you to think properly, to introduce you to the field, etc. You must trust this teacher by faith to begin with. As you grow in knowledge you can question the teacher, but until you know a good bit about the subject you don't even have the capacity to question the teacher. You're just a noob. You don't even know the correct questions to ask or the proper categories into which you can sort your knowledge, much less the ability to provide answers! Here is the cycle of learning: 1) You find someone with proper experience that you can learn from, 2) You follow their advice 100% by faith, even obeying their advice when it conflicts with your reasoning (because if your reasoning worked in this area you wouldn't need the teacher! ), 3) As you are introduced to the field you start to see how you were wrong and the teacher was right, thus you now may have the capacity to correct the teacher as you become more familiar with the subject. Not many people recognize this. They grossly overestimate their own abilities and knowledge and they arrogantly refuse help or refuse to implement the help given to them. Such people are doomed for failure. The wise person will seek out established teachers, learn from them and admit that they are not even capable of properly understanding the material yet. The humble are the only ones who can learn.